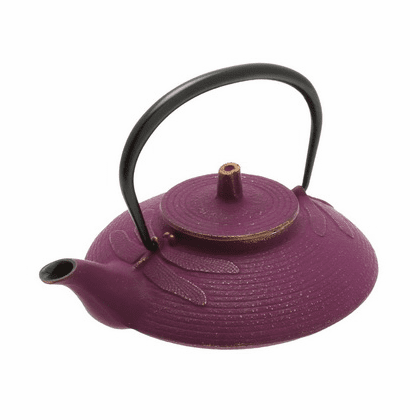 Iwachu Cast Iron Teapot, Tetsubin Gold/purple Dragonfly 16 oz. Home | Japanese Cast Iron Products | Iwachu Cast Iron Products Made in Japan | Dragonfly Cast Iron Tea Pot Series | Iwachu Cast Iron Teapot, Tetsubin Gold/purple Dragonfly 16 oz. This teapot comes in gold/purple and is manufactured by Iwachu, in the Iwate region of Japan.